Northeast Agricultural University and International Cooperation Committee of Animal Welfare hosts the conference at Qilu international hotel. The main topic is international integration, consumption upgrade, quality improvement d industrial innovation. Huqu Zhai, a committee of Agriculture and rural work committee of the National People's Congress and President of China council for the promotion of agricultural international cooperation, Chengguo Liu, former vice minister of the ministry of agriculture, Xianchen Kong, the vice director of the bureau of animal husbandry of Heilongjiang Province and Jun Bao, the president of Northeast Agricultural University attended the conference. 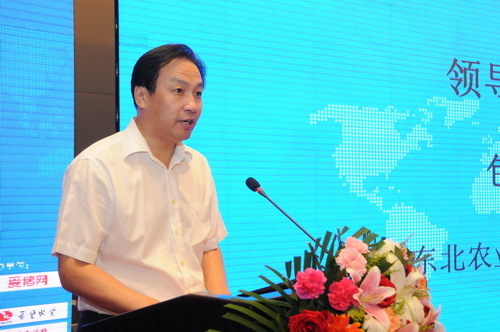 During the conference, experts from both China and foreign countries, scholars had speeches about Industry trends and internationalization in China's modern agriculture and animal husbandry enterprises management, Agriculture and animal husbandry enterprise technology transformation of experience and development, Agriculture and animal husbandry enterprise technology transformation of experience and development and Agriculture and animal husbandry enterprise internationalization experience. Delegates from companies introduced the latest experience of pig industry in the recent decade and raise pigs with the spirit of animal welfare, finally, the delegate from Muyuan Breeding Limited Company talked about their present situation of pig production, activities to improve work efficiency and how to promote health and welfare of pigs. Bao Jun, the president of Northeast Agricultural university delivered a speech about the balance at animal welfare and animal production. 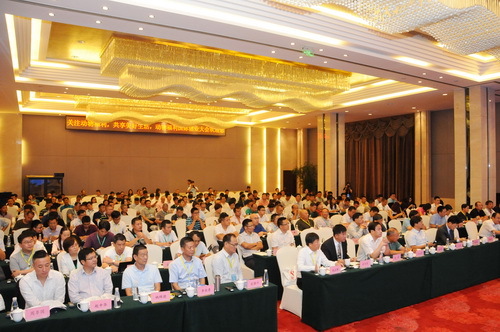 This conference could promote the spread of animal welfare and make a positive influence on pig production in China.